Liberals opposed to Narendra Modi are disappointed with Rahul Gandhi. He is simply not following their dream script. His ego is too big, they say. If only he had accepted the two seats that the SP-BSP were offering, the anti-Modi front in Uttar Pradesh would have been rock solid. 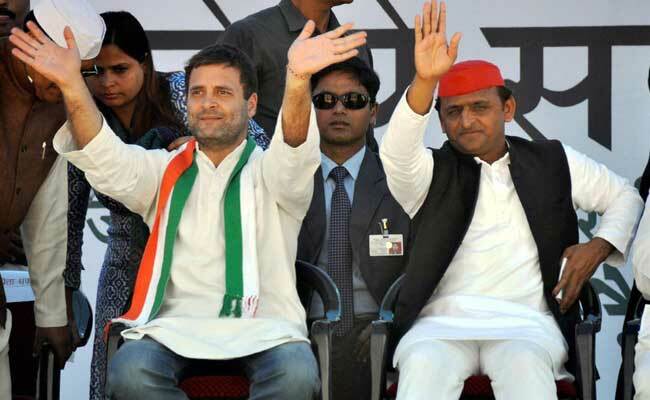 But Rahul is just 48 and he has to think of his party's long-term future; that has to include expanding the Congress party's political space in UP. You can't just write away 80 Lok Sabha seats. In fact, Rahul has very good reason to believe that UP's political landscape is not permanently decided to minimize the Congress' potential. The numbers tell you the story. In 1999, one in six people in UP voted for the Congress party. It got ten seats. In 2004, even though the BJP paid for its 'India Shining' folly, the Congress' vote-share fell even further. Only one in every eight voters backed the party and it got nine seats. 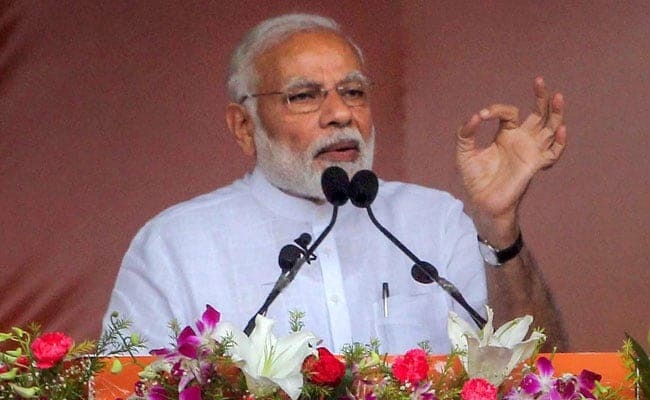 Political pundits said if the Congress couldn't do better in UP at a time when there was so much resentment against the Vajpayee government, it had no hope of ever reviving in the state. Then came 2009. Mayawati had already spent two years as Chief Minister. There was talk of an SP-Congress alliance to make the most of the anti-incumbency against the BSP. The SP offered 13 seats to the Congress. Even then, it was Rahul Gandhi, though he was not yet party president, who had to take the final decision. He chose to go it alone. The pundits wrote him off. 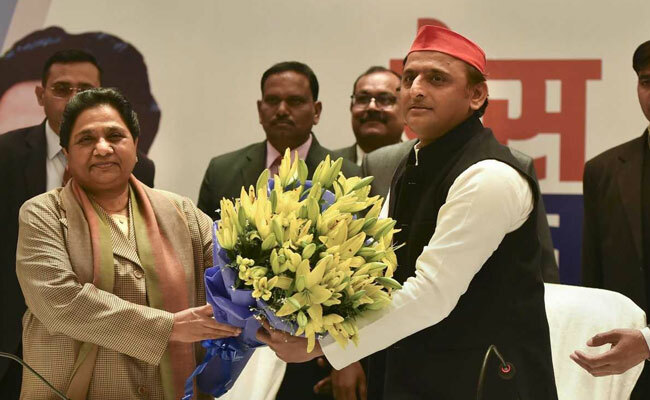 The BSP was elated and the BJP hoped to gain from the vote-division. The results surprised everyone. Not only did the Congress increase its vote share by more than half, it more than doubled its seats. The party got 21 of UP's 80 seats, coming second only to the SP's 23 seats. For the first time in more than two decades, the Congress beat the BJP in both vote-share and number of seats. All this despite having no alliance in the state. Lokniti-CSDS's post-poll analysis, done by Mirza Asmer Beg and Suhir Kumar, indicated that the Congress party's gains were universal. It had done better, compared to the 2007 assembly elections, amongst every socio-economic group, every caste and in almost every region. Its biggest gains, however, were amongst the upper-castes, non-Yadav OBCs and Muslims. While the first two came at the cost of the BJP, the last hit the SP the most. In fact, the fine-print of the 2009 results revealed that the Congress and the BJP were fighting in the same space. Both parties did well in urban areas. They got most of their votes from the rich and middle-class voters. And the more educated the voter, the more likely they were to vote for one of the two national parties. There was one more interesting detail hidden in the broad numbers of 2009. The Congress increased its seats from nine to 21 in five years, but it actually lost six of the nine seats it had won in 2004. In other words, 18 of the 21 seats that it got in 2009 were new wins. Many of the winners were heirs to local political legacies. Some were children of former Congress MPs. Others were popular brands such as Raj Babbar and Mohammad Azaharuddin. Ultimately, the biggest reason for the Congress party's unexpected resurgence in UP was the popularity of UPA-1. A Lokniti-CSDS survey showed 54% of UP's voters wanted the UPA to get a second chance. The Manmohan Singh government's massive economic stimulus programme after the 2008 global financial crisis, the huge pay commission arrears, the farm loan-waivers and MGNREGA worked to get votes for the Congress party. The exact opposite happened in the 2012 UP assembly elections. Rahul Gandhi's long pre-election campaign made many observers believe that the Congress could end up being the single-largest party. But by then, UPA-2 had become extremely unpopular. The Congress was routed; it lost one of every three votes it had got in 2009. In 2014, when the Modi wave gave the BJP a massive 25% vote surge, nearly half of it came from from those who had earlier voted for the Congress party. It was yet another sign that the two national parties have a common vote-base, especially in the urban areas. The more affluent and better educated voters in UP, who often happen to be upper castes or dominant OBCs, tend to vote for large national parties. The BJP, too, spent almost 10 years without any significant electoral success in the state. The party kept its organisation intact, built local leaders, who could make the most of a favourable political environment. 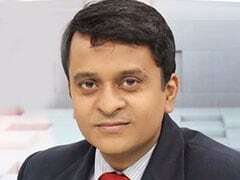 Without that, the Modi Wave would have simply fizzled out. The Congress party's gains in 2009 and the BJP's mega-success in 2014 were made possible because they continued to fight losing battles, year after year. For the Congress party to hand over the entire electoral space of Uttar Pradesh to the SP and BSP would be nothing short of political suicide. Right now, the Modi government is under pressure for its poor handling of the economy. At this time of general disenchantment with the BJP, the Congress has a strong chance of rebuilding its ground-level organisation. This is especially true because the two parties compete in a similar socio-economic space. It is precisely during big elections that parties galavanise their workers, increase contact with voters and fine-tune their electoral machinery. If the Congress goes it alone, it will not win many seats, but it will be able to put a vote-gathering structure in place. It is the only way for the party to survive in the long run, by establishing itself in Uttar Pradesh, the gateway to Delhi.